is always changing and telling its own story. It was the British Council ELTons last week, and I met some wonderfully engaging, knowledgeable, transformative people, including Shelly. Meeting as we did led to Goal #17 “Help them shine”, and reciprocating this is a post inspired by Goal #18 “Share a story”, which includes the quote above about soil. The story I’ll share is how language plants got their name. There passed many miles of walking and thinking and staring at bare branches in the winter and their adornments in the summer before I was satisfied enough to name them “language plants”. I wanted the metaphor to hold water, so to speak, as streams and rivers share a similar dendritic pattern. But it’s the organic, lifelike properties that I wanted the name to capture. 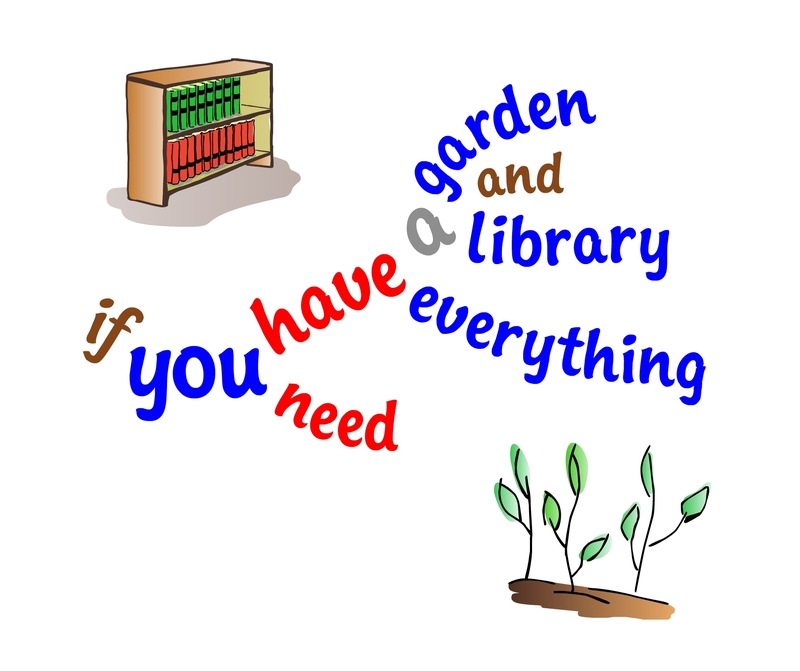 Languages, after all, are born, grow, evolve and die, a centuries-long life cycle that the snowdrops and daffodils in the garden on this first day of spring accomplish in a couple of months. Language, too, is a discrete combinatorial system, like the DNA of plants and animals which, in contrast with the blending systems of colours and clouds, retains its (discrete) individual elements – phonemes and words – when they join (combinatorial) into ever-more complex wholes (system). With language plants, the branches are obvious; they’re the words. Language, a piece of written text, including a language plant, only comes alive when it is read, and interpreted, by a person. Hence the term “dead language” to describe Latin and Sanskrit, ones with no native speakers. I imagine language growing in a mind like a plant. These words you’re reading now are growing in your mind, an individual interpretation of the meaning they hold, and will continue to exist while they are in your active memory. This plant is rooted in soil, your knowledge and understanding of the words and the world. When it’s dinner time and our thoughts turn to our tummies, the plant dies. But all is not lost. Soil, after all, is the accumulation of years of decayed plants, humus and nutrients which are eagerly absorbed by the latest youngster to sprout up on the patch. That’s how an expert on a subject can understand a complex text which a beginner just cannot get to grips with. The beginner’s soil, her knowledge of the topic, just isn’t deep enough for the language plant to successfully grow. It’s why the metaphor “written in stone” is so utterly wrong if ever used as an analogy for knowledge. 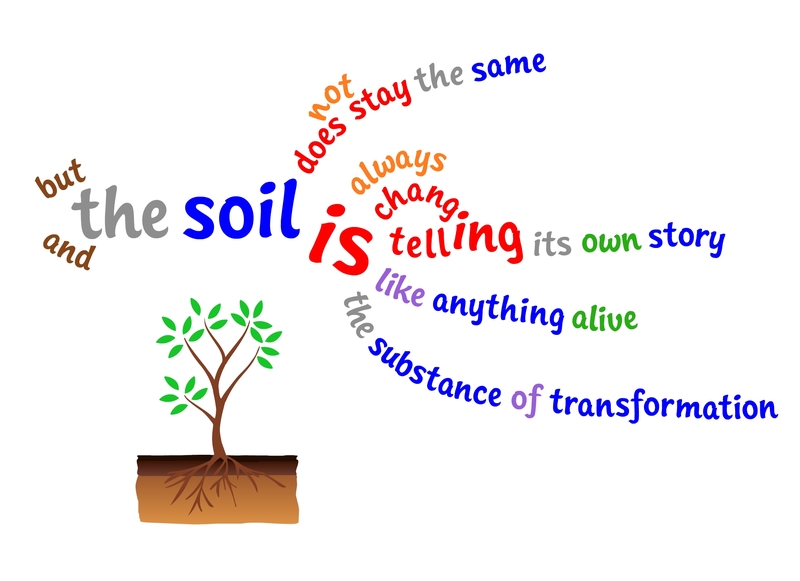 Soil gets eroded, information gets lost. It’s why revising and recycling language in various guises and activities, and why coursebooks or worksheets that give space for learners to interact with the prescribed language and add their own, like Jason’s, and why looking at old notes or diaries or lesson plans like Cecilia has done is all invaluable. Fruitful, one might say. Nurturing, watering, clipping our languages are essential. We must never forget that. And I am honored that you mentioned me in your post. Thank you for an inspiring read! Keep those plants growing strong! David, You write so beautifully! It’s truly lovely of you to say so, Cintia. Thank you very much indeed. You are currently reading Soil at language garden.